Solar Voltaics is dedicated to providing domestic and commercial customers with a personal and professional service for the supply of solar photovoltaic systems. We pride ourselves on making sure that customers are completely satisfied with their decision to adopt solar PV technology and we do not employ hard sales tactics. We adhere to a strict code of conduct to provide high levels of reassurance that your system will perform as expected for many years. We are a local company primarily serving the Hampshire - Sussex – Surrey areas. Please call us if you would like to understand more about how Feed in Tariffs work or wish to arrange a survey. We can arrange an appointment at your property or you can visit us at our office in Havant. 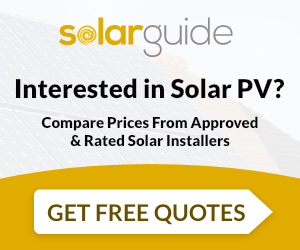 I have found that from start to finish everyone at Solar Voltaics has been priffesional helpful, polite and knowledgeable regarding their product. I would recommend them to family and friends. Would recommend Solar Voltaics, they were very proffessional, completed work to time table and to estimate. Solar Voltaics Ltd are MCS accredited engineers who supply and install Solar PV. For similar installers in this area please visit the Havant solar page. "I have found that from start to finish everyone at Solar Voltaics has been priffesional helpful, polite and knowledgeable regarding their product. I would recommend them to family and friends."